The new Phantom 4 drone packs advanced technology but a higher price tag. 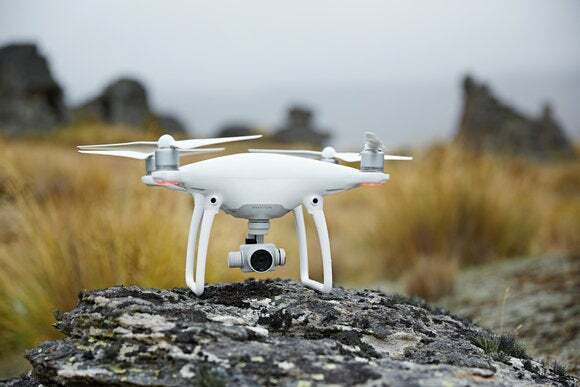 The latest drone in DJI's popular Phantom series can track humans and dodge obstacles. The enhancements make the Phantom 4 one of the most advanced consumer drones on the market, and further lower the barrier to flight for most consumers. But the technology comes with a sizable price tag. The new obstacle avoidance system uses two forward-facing optical sensors to keep track of what's ahead of the drone. If it senses a possible collision, the drone will attempt to fly around the object while maintaining the general flight direction. Objects are sometimes tricky to avoid when piloting a drone because it's difficult to judge a collision course from the different perspective on the ground. YouTube is full of drone collision videos and most pilots have a story to tell about their drones hitting trees or flying into walls and rooftops. With the new tracking system, pilots can tap on an object in the camera's frame through the iOS or Android apps. 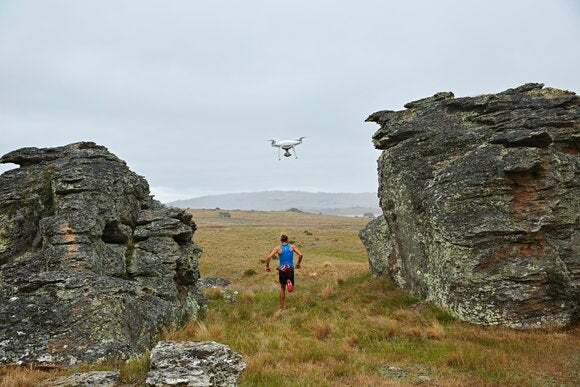 The drone will pick up on the object and keep it centered so, for example, a runner or cyclist will remain in the middle of the image as the drone follows them along. 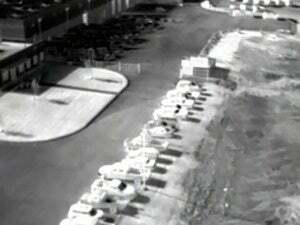 DJI says the software is sophisticated enough to keep tracking the object even when it changes direction or appears to change shape from the camera's viewpoint. And while the subject remains centered, pilots still have full control of the camera's movement. A new feature in the DJI Go app called TapFly allows pilots to tap on a destination and have the software automatically calculate the best flight path while avoiding obstacles in the path. If they work as promised, the enhancements are a further step in the intelligence of drone control software that make the devices easier than ever to fly. DJI and its competitors hope that by removing the complex flight knowledge traditionally needed, more people will be encouraged to buy and use drones for leisure and commercial activities. 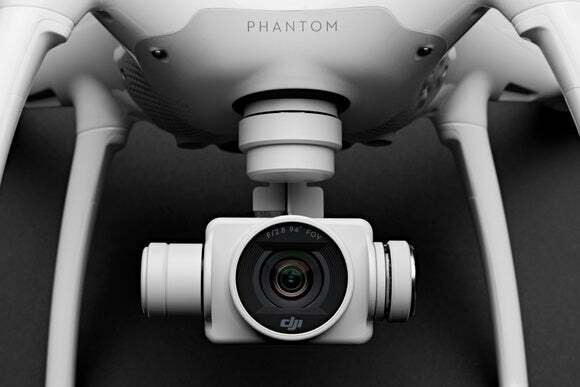 At first glance, the hardware appears little unchanged as the Phantom 4 retains the same basic shape as DJI's previous Phantom 3. That drone has become one of the most popular for serious amateur and low-end professional applications. 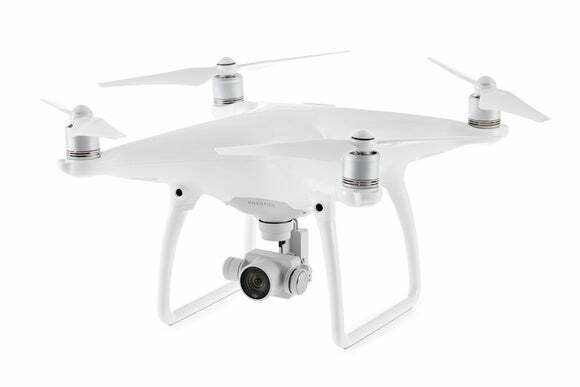 The Phantom 4 features a 4K video camera hanging from a new gimbal that DJI says provides more stability and vibration dampening. There's also a new battery that promises 28 minutes of flight time. The top speed is 20 meters per second (45 miles per hour). But all this high technology comes at a price. The Phantom 4 currently costs $1,399 at the Apple Store -- that's a bump on the Phantom 3 Professional, previously the top-end device, that had been selling for $1,259. With the launch of the Phantom 4, the Phantom 3 Professional price has been cut to $999. Customers ordering on the DJI and Apple websites will receive their drones on March 15, other retail channels will have the drone from April 1.